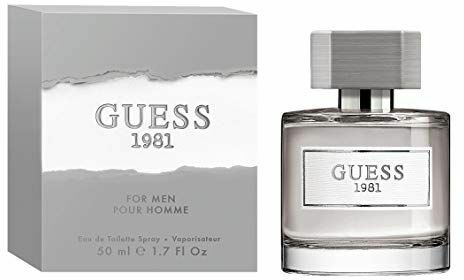 Guess 1981 for Men by Guess is a woody Chypre fragrance by men. This perfume was launched in 2017. Top notes are bergamot and violet leaf; middle notes are cedar, Oakmoss and ambergris; base notes are leather and olibanum.